Location may be known as one of the most common rules of real estate, but did you know it applies to birthday parties too! 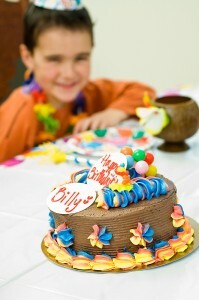 In Massachusetts, we’ve two great locations that just can not be beat for maximum birthday party fun! There is no need to worry about summer heat because our rinks will allow you and your guests to stay cool. Roller Kingdom birthday parties in Tyngsboro and Hudson include roller skating and more! We’ve got a variety of party packages to meet your needs, and your party package can include skating, tasty treats, karaoke, laser tag, and arcade time. Even with all of these great options, a birthday party at Roller Kingdom will not break the bank! Parties start as low as $14 per person during our Spectacular Savings Sessions (Wednesdays from 6-9pm and Fridays from 4-6:30pm). This includes admission, skate rental, a choice of pizza or hot dog, 2 pitchers of Pepsi products or punch, printed invitations (if wanted), a FREE skating pass for each guest, 25 prize tickets for each guest, a free gift for the birthday child, 4 skating lessons for the birthday guest of honor, reserved tables, and paper products. Weekend parties vary just a little and include the same items; make sure you visit our birthday party page for more details regarding details for rates and add ons. If your guest list includes more than a few close friends, consider one of our Private Party options. We can work with a smaller group with a minimum of 20, or you can bring more with our Rink Rental options that can include skating, laser tag, or both! Whatever size party you are looking for, we can assure you that a Roller Kingdom birthday party will be full of fun and memories. Contact us today to book your next birthday party at Roller Kingdom.